WORLD'S FIRST! 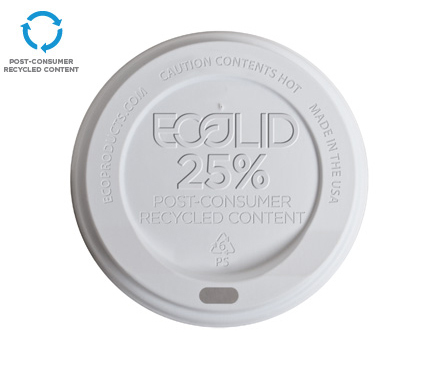 Introducing the EcoLid® 25% Post-Consumer Recycled Content Hot Cup Lid, a one-of-a-kind hot cup lid made from 25% post-consumer recycled polystyrene. Traditional hot cup lids are made entirely with virgin plastic, which is not sustainable. 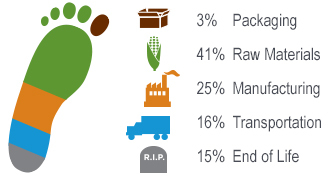 The EcoLid® 25 is an industry-first, recycled content solution that can help keep waste out of landfills. Instead of heading straight to the landfill, some of the material in this container was repurposed into a new product. This small hot cup lid is made with the highest recycled content available. Complete your recycled content hot cup package with the world's first 25% recycled content hot cup lid. These black, recycled content hot cups lids are made in the USA.